Over 2000 Harry Potter fans gathered at the University of Guelph for the 4th annual School of Witchcraft and Wizardry. The Summerlee Science Complex hosted an assortment of activities for participants to discover the magic of science and turn muggles into science wizards. “Everybody loves a little bit of magic so can we put the science on that and get kids really excited about STEM,” says Headmaster and organizer Erika Cellino. It’s an event that allows Harry Potter fans young and old the chance to be a part of the magical world. “I like learning about Magic and everything,” says a young wizard. It is a day full or information and excitement. Many taking part say they have already reserved tickets for next year. 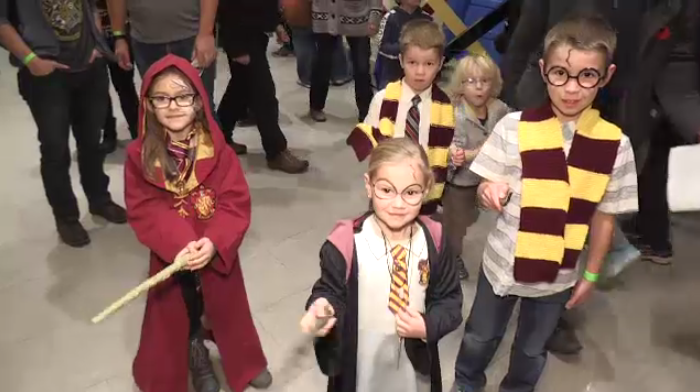 Over 2000 Harry Potter fans gathered in Guelph for the school of witchcraft and wizardry.